A brand new experience for the glitterati and glamourati of Limerick was launched on Thursday the 10th of September as The George Boutique Hotel launched it’s Wine Theatre experience. 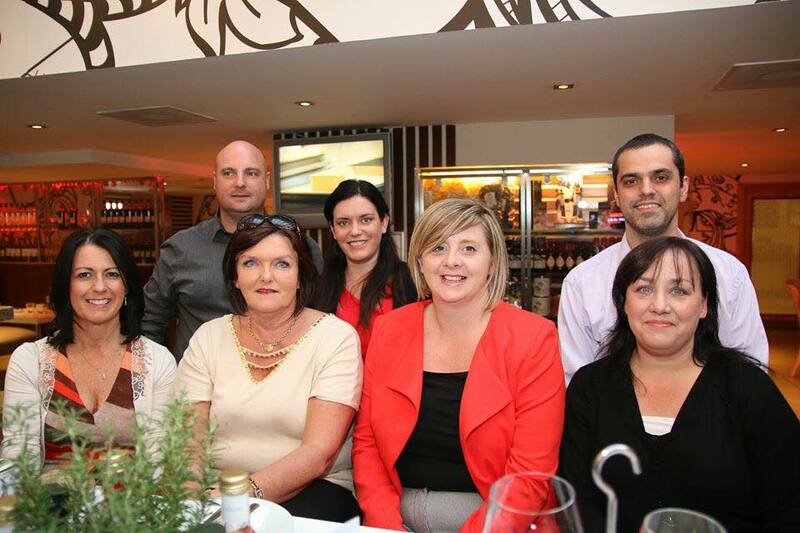 The new italian eatery, Da Vincenzo Food and Wine Hall, in the city centre hotel, played host to the wine extravaganza as Chef Vincenzo, the last man from Pomeii, introduced guests from all over Limerick City and County to various wines and the food that accompanied them in an evening of entertainment. This is not juts a great way to learn more about italian wines and food, the Wine Theatre is a really great addition to the cultural experiences that Limerick offers. 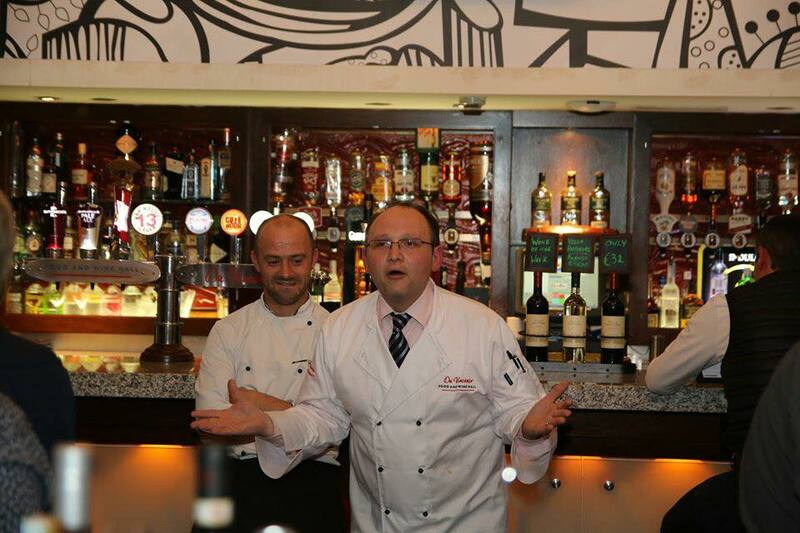 As well as enthralling the guests, Vincenzo gave some easy lessons on La Dolce Vite! The Good life: Italian style will also be available for purchase as the food and wine hall also has fresh Italian produce for sale in it’s store. As well as enjoying fabulous food and wine the guests were also entertained by local Magician Leon Anderson. 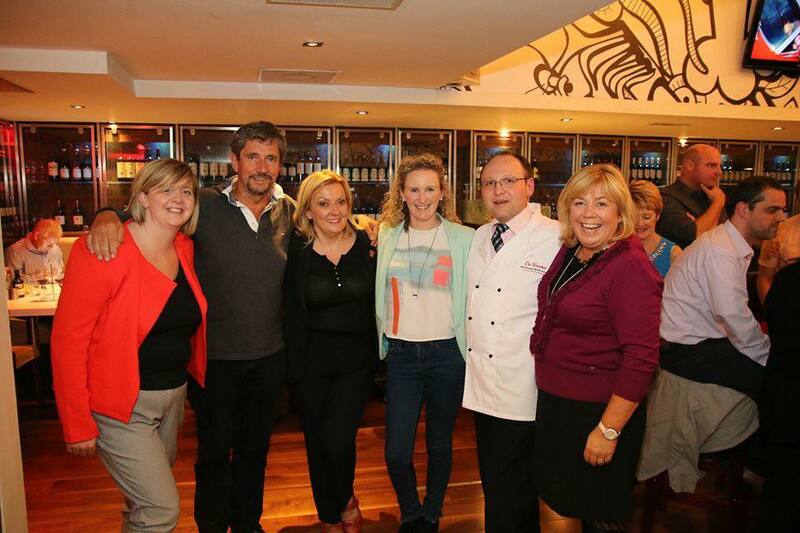 Enjoying the event organised by the George Boutique Hotel’s Jacinta Khan, were John McNamara, Tracey Butler, Jackie Gardiner, Emma D’Arcy, Zeb Moore and Lisa Casey even veteran broadcaster Charlie Bird dropped in to the festivities.